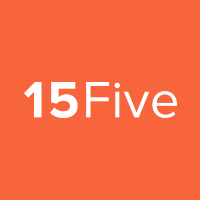 After submitting a 15Five, you will be able to add answers, comments, goals, objectives, etc to your 1-on-1 agenda. The items will appear under the 'Answers from 15Five' section on the 1-on-1 page. This makes adding information to the 1-on-1 agenda easier and allows you to work on reporting and your 1-on-1 simultaneously. 1. Click on the '...' by your answer, comment, etc. 2. Click on 'Add to 1-on-1 agenda'. 3. Rename your answer with a short title. This title will appear as a talking point on your 1-on-1 agenda. 4. Save the changes and check your 1-on-1 agenda. 1. To ensure the item was added to your 1-on-1 agenda, click on the '1-on-1s' tab at the top of your screen. 2. Click on your current 1-on-1 (or the 1-on-1 with your team member that you added to). 3. You should see your added items under the 'Talking points' section. 4. To expand the talking point, and see the original 15Five answer, click on the arrow next to 'Answer'. Unchecked talking points will carry over to your next 1-on-1 agenda without any intervention! These unchecked items will appear in the 'Talking points' section again. Checked off/discussed talking points will still disappear from the following 1-on-1 agenda, as they have been talked about and checked off the list. For more information on how to get the most out of your 1-on-1s, see our 1-on-1 Checklist. What is the 1-on-1 agenda?